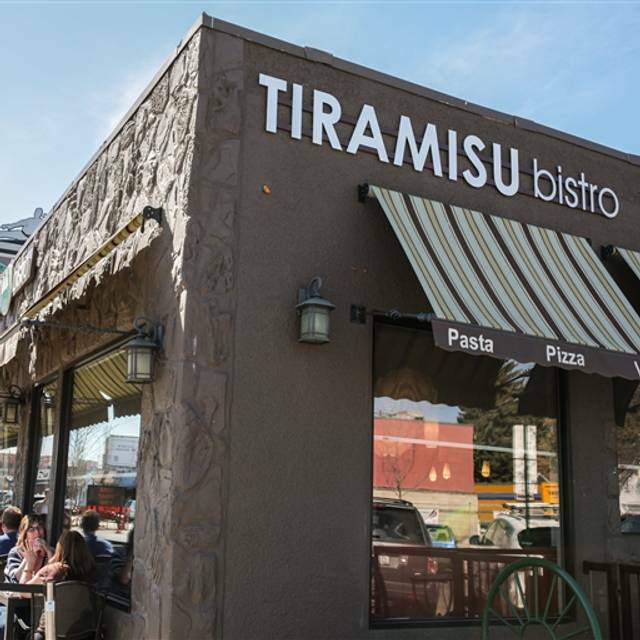 You must make reservations at least 5 minutes in advance of the time at Tiramisu Bistro. PLANNING A PARTY, MEETING, OR EVENT? HOST IT IN OUR PRIVATE ROOM! Perfect for breakfast meetings, business luncheons, celebratory dinner parties and classy cocktail evenings, Tiramisu’s private function area accommodates up to 40 for a seated meal and 50 cocktail style —100 in the main dining room— with a variety of prix fixe & custom menus. •Our function room is available 7am to 10pm, seven days a week! Tiramisu Bistro is an urban eatery where you can enjoy a modern take on traditional Italian fare which offers a unique private dining experience. Our event space accommodates approx. 40 people seated and up to 60 for a standing reception. 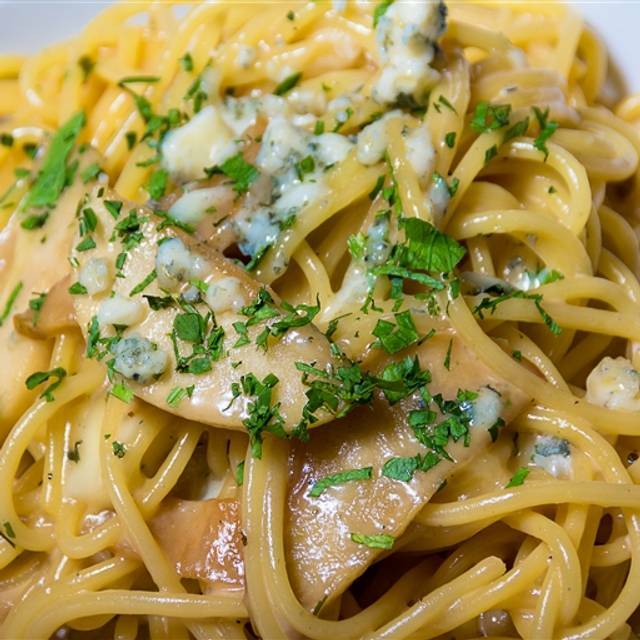 Tiramisu Bistro features a modern take on traditional Italian fare, focusing on fresh ingredients and sustainable wines from small vineyards. What began with the inspiration of sharing a home-like experience for guests, staff and friends has developed into a full-service restaurant hosting unique breakfast, lunch, dinner menus & brunch until 4pm on weekends. Tiramisu also offers friendly, flexible options for private events - perfect for breakfast meetings, business luncheons, celebratory dinner and cocktail parties, our private room seats 40, stand up cocktail 50 people or you can book the whole restaurant for up to 100 people. Enjoy a coffee, gelato or dessert to go, or drop in to take away one of our delicious spaghettis in a special paper cone that swirls the noodles with you! 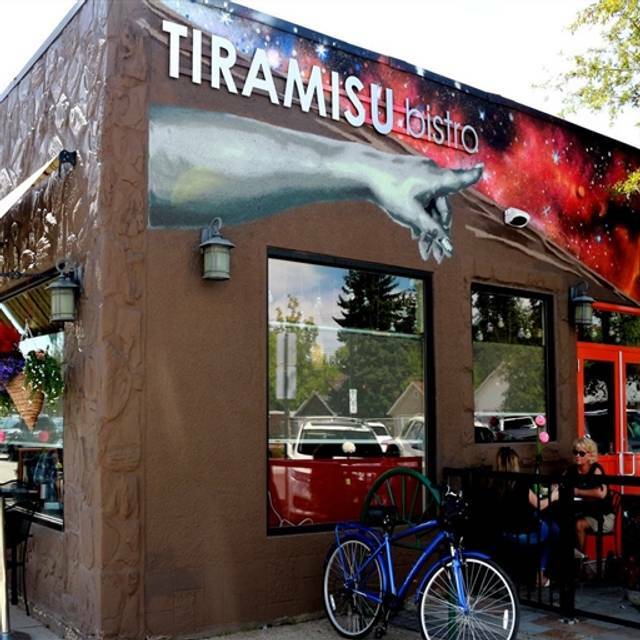 Tiramisu Bistro: Come as a Guest, Leave as a Friend! Food was very good, service good - waitress had information about gluten in one dish we were considering. When we first arrived, 10:30 on a Sunday morning, the room was fairly quiet and the waitress very attentive. However, after about an hour the restaurant filled up, it became very nosiy and the waitress was very busy with other customers. If wanting to have a conversation while at the restaurant probably better to go at a less busy time. Overall, very pleased and will return. Excellent service. Very friendly. Great place for lunch. Celebrated my husband’s birthday dinner and Josh made it such a beautiful experience for us and our two sons! We enjoyed a pitcher of Sangria which was made perfect, 2 orders of lobster baked macaroni, spicy beef cannolis and primavera pasta. 3 orders of red velvet cake and a slice of pecan cheesecake. Delightful! Thank you for a wonderful Saturday evening! We will be back! Came for a birthday lunch. The food was very good, the service was great but the noise was loud as there was a large table of people who stayed talking and were loud to hear each other from one end of the table to the other! The restaurants itself is great. The food was ok, nothing spectacular. However, the biggest issue was how long it took to be served. It took approximately 45-60 minutes to get our food, after ordering, despite the restaurant being almost empty (maybe 4 tables seated in total) and not ordering anything that would seem remotely complicated or to take a long time to prepare/cook. Also brought out my food about 15 minutes before my husband's food was apparently ready, so I was forced to eat alone while he watched and waited for his food, or wait for his food and end up eating cold eggs. The food was amazing! Staff is friendly and ambience terrific! Do not second guess yourself; go visit this place. You will not be disappointed! This was my first visit and will definitely not be my last! 2 thumbs up! Thank you for your review! We'd love to have you back! Our new menu is on its way! I really enjoyed their twist on traditional sushi by creating their own Italian sushi, which used risotto. 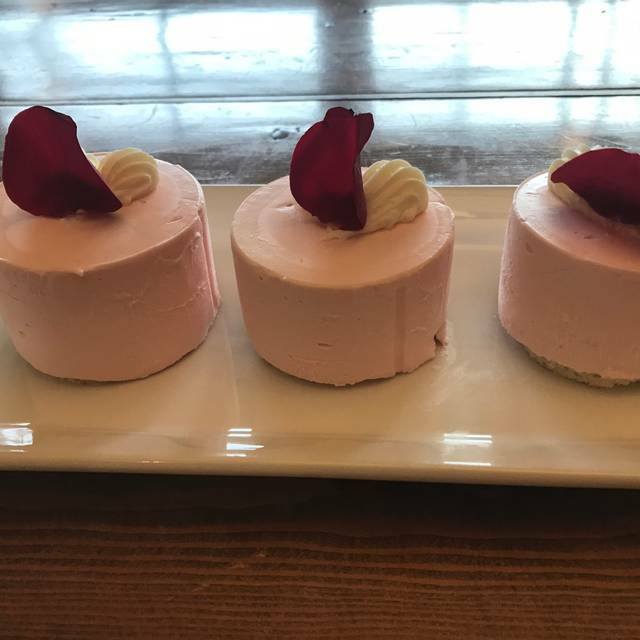 The entreés were well plated and the taste was impeccable. One should not miss ordering dessert even after a sizeable serving of their main dishes. I would come back to dine at this place in a heartbeat. Thank you for your review! 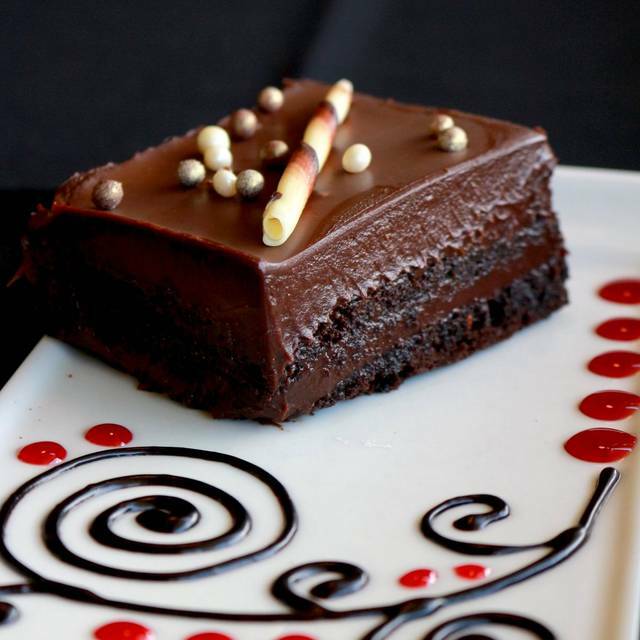 We are so glad you celebrated Valentine's Day with Tiramisu Bistro! We are proud to offer sizeable portions of quality food with fresh ingredients. 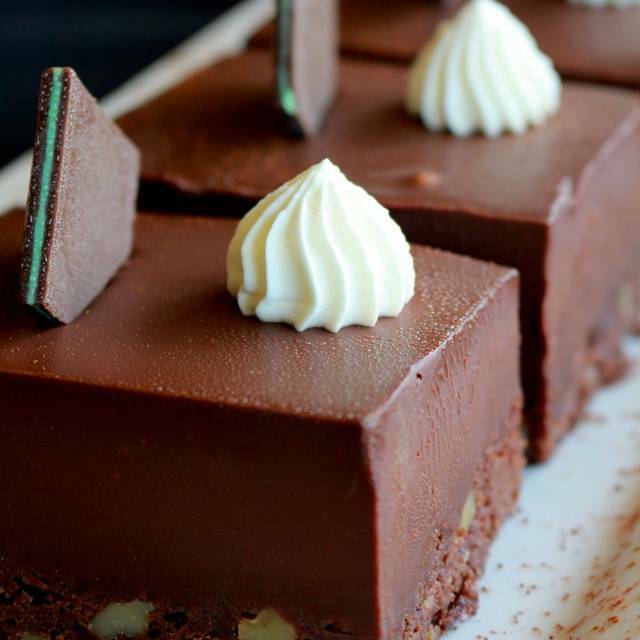 All our desserts are made in-house! We hope to see you again soon Leslie, and often! Service was nice,food was cold and flavorless .Nice ambiance . Thank you for your review. We are sorry to hear your experience was less than perfect. We strive to achieve a standard of excellence in our presentation. We'd love another chance to show you that. Please do not hesitate to contact us so we can best address your concerns. Wonderful experience at this family owned business. The food was very good, the service was terrific, did not feel rushed nor did we wait too long for service. Thank you for your review! 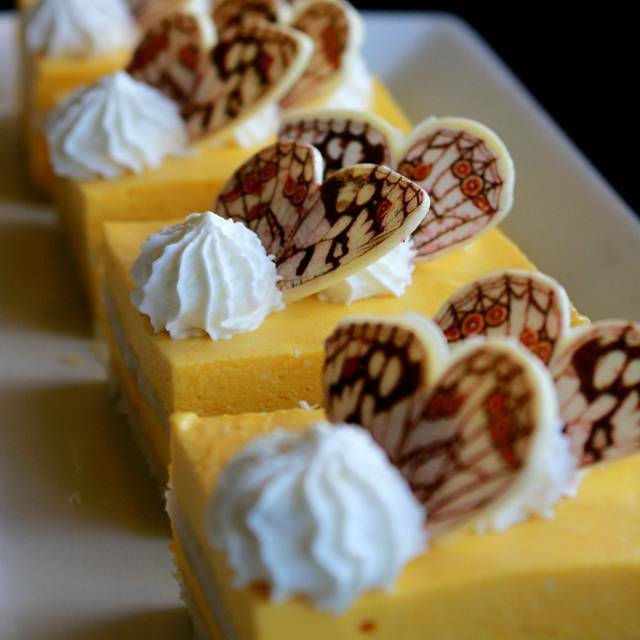 We are thrilled you enjoyed your experience here at Tiramisu Bistro. We hope to see you soon! Keep posted for our new menu! The food was delicious and the atmosphere was fun. I really wanted to like this restaurant. We took a friend visiting from Toronto and unfortunately we received very poor service, and this was after making a reservation. After being sat we waited about 10 minutes before being served, we actually thought that maybe we just had to order at the counter- which is common at similar places with the same layout. We went up to ask if that is what we do and we received some attitude from the staff (but at that point we were not even upset we just didn't know cause we have never been there before and no one came to great us). After that the service was just poor (non-friendly, felt like we were being avoided). It was really too bad. The restaurant claimed it usually takes 12 hours or more for an Open Table réservation to show up on their end, when we had clearly made a reservation through Open Table. In all our years being an Open Table user, we have never experienced this before. We were seated at a table next to the front door in winter time, where a table should not be placed, as a cold draft blew directly onto us each time someone entered or left the restaurant. The server brought out my salad and main course at the same time. Our table was not big enough to hold the plates and my main course was a hot meal. In summary, we were less than impressed with this restaurant, and will not be returning any time soon. Hi there, We apologize for your experience. We usually do not seat reservations by the door. Sometimes same day reservations made through open table are missed during our busy times. We ask that for same day reservations , you please call to confirm. We hope that you come back and we'll make sure we reserve you the best seat in the house. I made the reservation for a birthday celebration for my daughter, after arriving we were seated, the restaurant was almost at capacity with only two front staff working, after waiting for 20 minutes, we had not yet even been brought water to our table. We left the establishment. I can't really blame the waiting staff as they were running, but not sure who's responsible for staffing but it certainly was a mess. We won't be back. This place does not get the recognition it deserves. The food is always good, the brunch has some different inventive options that leave me wanting more. Spaghetti Benedict? Whaaaat? So amazing. Spaghetti, chilli flakes, bacon, Italian sausage tomatoes topped with soft poached eggs and avacado hollandaise. When it's all mixed together it's like a breakfast carbonara, unreal. The maple potatoes? Always room for a side order of those. And...the cinnamon bun.....fresh, soft, amazing. Easy to get into this place using open table to reserve, but word is getting out, so it might not be like that for long. Go here. Delicious meal ! My favourite resteraunt in Edmonton. Have only been for corporate functions in the past. Pleasantly surprised and definitely will be back. Food was excellent. Gelato was exceptional. Good food but the waitress was slow and inattentive. As usual, the presentation, quantity and quality of the food was outstanding. Also as usual, the service was extremely lacking. Simply communicate with your table if their orders are taking extra time, do not avoid the table and do not let every coffee cup run dry before asking if anyone needs a top up especially when multiple other tables seated afterwards have received their food. 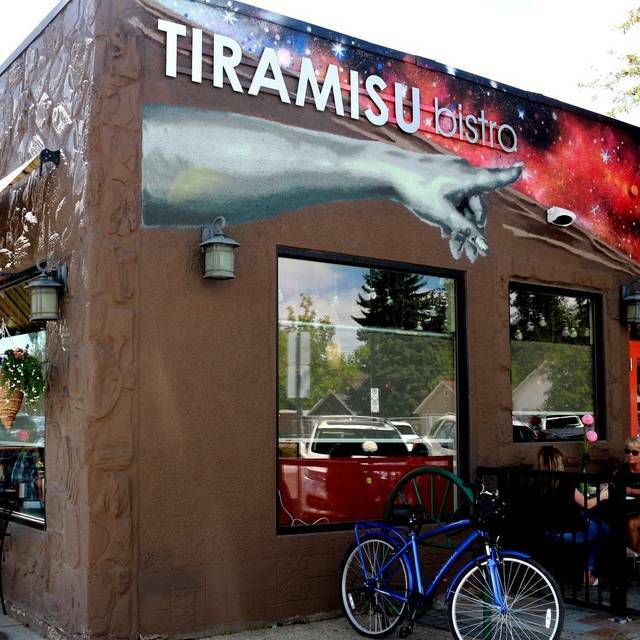 This is the first time I have ever written a negative word about any restaurant in this town, but this is the third time I have had this experience going for brunch at Tiramisu in the last year. This is a new favourite for me and I will try to return often. We went for Sunday brunch and even being a bit later at 1pm, it was good to have made a reservation. The restaurant was bustling with full tables for the entire time we were there. Gluten free options at brunch were good - they had gluten free bread for my egg Benedict. The adobo hollandaise is spicy, but very tasty! Excellant coffee and a cheerful server contributed to a nice lunch with friends. Loved the food! We were a table of 4, there for my birthday. We all ordered different foods, all sampled, and then sampled again. Absolutely every dish was delicious. And the desserts!!! So good! Eggs were cold on the bene, but the hollandaise was delicious. The staff & ambience are very pleasant. The menu is interesting & tasty. Service was really good, beef panini was spicy! but music too loud for us. Hard to have a conversation. Pistachio cheesecake unbelievable! Love Tirimisu. When I teach a class I bring them here to eat as it serves all the individual dietary needs. The gluten free buns are the best yet. Excellent comfort good for a great price. Friendly staff and in a great neighborhood. This is a nice place to sit and have a quiet conversation or have a group get together. 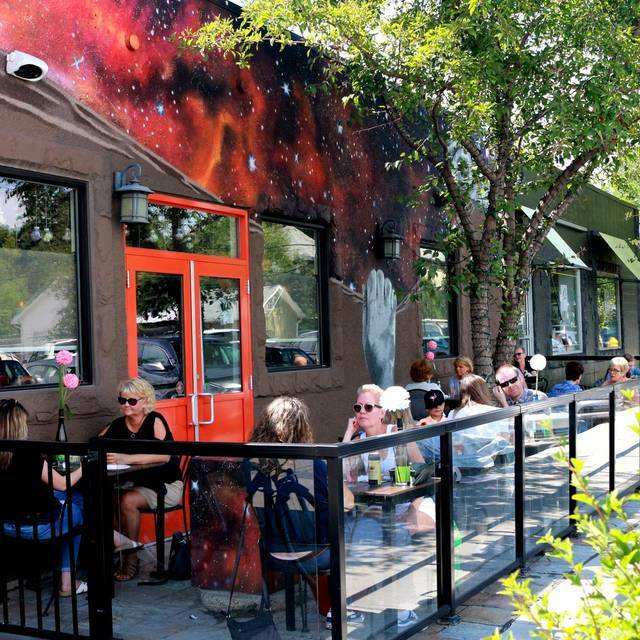 A group of 4 of us went here for the start of a Bachlorette party weekend - brunch! I had made a reservation through Open Table. We were all pleasantly surprised by how cosy and cute it was on the inside. Wonderful waitress who was very friendly and attentive and seemed to genuinely like her job. The menu was great for selection and we had items off the breakfast menu. It arrived quickly and was deeelicious. Highly recommend! Portion sizes were generous but not ridiculous. For the price and quality, it was a perfect combination. Service was terrific, however, I didn’t get exactly what was listed on their menu. Also, with nothing to dampen sounds, it was very loud and I had difficulty hearing my friends across the table. Probably the worst breakfast I have had in a long time. I orderd the Bacon Sandwich; was told it would be on a Brioche Bun, it came on a sausage roll. Ok, can live with that. Was asked if I wanted to add avacado and said yes. it was so hard, I couldnt cut it with a knife and told the server that it was not ripe ... was charged for it nevertheless. The bacon was strong and undercooked almost to raw. A friend had the Belgian Waffle ... it was scant (ie, not enough batter in the iron) and cold and although advertized as coming with berries and banana only came with banama ... at the same price. Will not ever go back ... too many other very good restaurants in the area that do a much better job for the same price. Shared the smoked salmon appy & it was very good. We had a couple pasta dishes & they were great. Friendly accommodating service, good food. A comfortable drop-in spot . Met a friend for Saturday brunch at 10:00 a.m. Relatively few people in the restaurant at that time so we were able to have a lovely conversation. Solid brunch menu with lots of options. (The salmon benedict was lovely!) Coffee was plentiful and the service was good. Tiramisu is obviously a popular brunch spot because by 11:00 a.m. people were lined-up out the door and the noise level was so high it was difficult to hear across the table. (I can't imagine how hard it would have been for a group of more than two to hear each other.) Recommendation: Make a reservation ... and come early ... unless you're in it for the people-watching. Well worth a visit. The only downside was having nowhere to hang jackets and the chairs being too small to keep the jackets off the ground and out of the melting snow from one's shoes. Came here for the first time ever, mostly because Lionel Rault was playing live music, which is the kind of place we like to go, especially since the music wasn’t loud, and people could still converse. Don’t know the extent of the menu yet, but pretty good and decent pricing. From out of town on an acreage, but will remember this place and probably be back. Excellent food with many different options. Interesting late breakfast options. I had the aglio olio, with prawns added made spicy. It was delicious albeit abit garlicky for my taste. 😊 and the tiramisu is amazing! The food was decent. Service was decent, although at times the server was a bit too chatty and other times, she was a bit absent. The restaurant was way too quiet early in the night with no music and not very many other tables. When it filled up, the noise was so loud. Perhaps some sound panels would help.